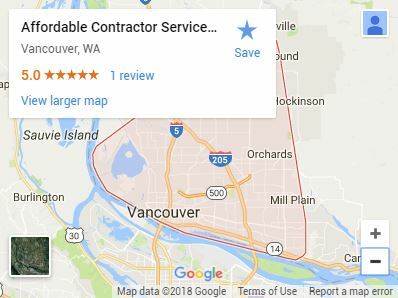 Affordable Contractor Services, LLC specializes in the construction of home additions, fences, and fresh living spaces in Vancouver, Washington. When done by an experienced remodeler, there are countless home improvements that enhance the style, increase the value and renew the sense of pride in your property. Aesthetic fence construction for increased curb appeal and privacy. Window replacement to enhance natural light, ventilation and energy efficiency. Garage and shop builds that maximize usable workspace. New siding installation to update and restore home exterior. 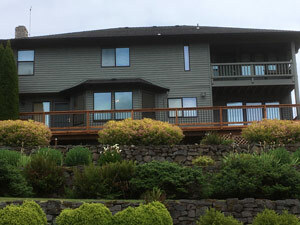 Low-maintenance TimberTech® decks to make outside the home as comfortable as in. Second story additions to increase living space and boost retail value. Detailed interior trim work that enhances a home’s cohesive style. Across-the-board general contracting services for commercial property. Acoustic ceiling options to dampen sounds for a quieter office. Performance of necessary repairs following a home inspection. From the very first call, our team communicates clearly and openly about every phase of the process. We want every one of our clients to understand exactly what’s happening with their home, and actively encourage questions and curiosity about the process. Affordability doesn’t mean quality has to take a back seat. With Affordable Contractor Services, value and craftsmanship lay at the heart of every build, and drive every project. New renovations fit harmoniously with the original character of your house, without breaking the bank. Our team takes care to focus on improvements in living spaces that create measurable value and provide a genuine return on the money put into your home. No radio silence. Regular communication continues for the duration of the project. Questions encouraged. With Affordable Contractor Services, our doors are open from start to finish. Partner-based approach. We sit down with you to make your remodel match your vision. We encourage all clients to share the big ideas for their home and look forward to forming an actionable solution to building the home you want. Affordable Contractor Services, LLC has all the practical experience in making your dream home, remodels or project a reality and bringing your blueprints to life.